ZY Phyto is a brand of 100% Bumiputera company which operates a contract manufacturing for beauty and health products. It provides services to assist entrepreneurs and potential entrepreneurs to achieve their dream of having a product on their own brand. ZY Phyto Group of Companies comprises of ZY Phyto Tech Industries Sdn. Bhd, ZY Phyto Cosmetic Sdn Bhd, ZY Phyto Herbal Science Sdn Bhd, ZY Academy Sdn Bhd, ZY Printpack Sdn Bhd, ZY Phyto Marketing Sdn Bhd, ZY Phyto East Coast Sdn Bhd, Yayasan Qaseh ZY Phyto and Emily's Cattery. ZY Phyto was operated for the first time in 2007 and started to establish on 2011 officially. ZY Phyto is scheduled to begin operations on March 3, 2011, at No. 10A, Jalan TIAJ 2/9, Taman Industri Alam Jaya, 42300 Bandar Puncak Alam. Early on 2007, with a start-up capital of RM3000, the operation of ZY Phyto was very minimal with only single handler operating a manually built machine. Thenceforth, after 10 years of executing the business, ZY Phyto had obtained a paid up assets over 30 million in total. ZY Phyto is led by Zaidi Yusoff from the very beginning of its operation. He is known as a visionary who created one of the largest beauty and health conglomerate in Malaysia, ZY Phyto Group Of Companies. Through his passion for business, Zaidi Yusoff began the herbal beauty based business on his very own. Under his strategic leadership, ZY Phyto now has grown vastly possessing the multi-discipline arm such as ZY Phyto Cosmetic Science, ZY Phyto Herbal Science, ZY Phyto Academy, Saudagar Herba, Boss Ventures and Malaya Wellness. Zaidi Yusoff has a strong passion for becoming the leading OEM manufacturer and upholding his mission to be among the notable Muslim Bumiputera to lead the industry. Sharifah Ameelia Akma Mohd Ramly was appointed as Executive Director of ZY Phyto Tech Industries Sdn Bhd effectively on 2007. Prior joining the company, she was appointed and recognised as among the youngest Director of Human Resources at HYATT Hotel International and HYATT International Group. Sharifah Ameelia is very optimistic to do one's bidding in order for customers to always have faith in the credibility of the company as a reputable manufacturer- 'KING OF OEM' in beauty & health. As at this second, vast numbers of emerging market player are being developed by ZY Phyto through a great success blueprint; as Sharifah Ameelia always says "ZY Phyto is your Brand Partner & One Stop Bussiness Centre for all. Experienced for more than 10 years in manufacturing fields, ZY Phyto has grown to be one of the most trusted manufacturers to many entrepreneurs out there. Complete with advanced machinery, our types of machinery complies a GMP standard procedure encompasses of entire product formulation, product research and development, designing, production, packaging and delivery which meet your quality as a whole core. Our machines are capable of producing up to large orders quantity. 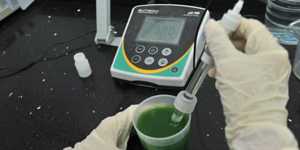 ZY Phyto is reinforced by scientific research collaborated between our R&D and Quality Control team with local universities such as UTM, UKM and USM for research and development. The client can choose to walk-in to our Sales Gallery or make an appointment with our Sales Team as a preamble discussion about their interest in any products. Clients are given many options to choose from our wide-ranging products such as health food, tea products, coffee products, colour cosmetics & skincare product. It’s easy to say millions like a cheap talk, right? But that’s how we say it to other entrepreneurs before you. In fact, we make them believe of what we can do to help them. They are just like you before; having a dream to have a business selling herbal and beauty-based product. They want their own brand. They want to be the business owner. The problem is, they don’t have a product! That’s why we come in to help – providing one-stop manufacturing facility for herbal and beauty-based product. Established in 2007, ZY Phyto grows as our clients grow; from a small business to have our own warehouse. Our team of 30 staffs works hard to create the profitable ‘all-done-for-you product. Our warehouse staffs adhere to quality standard procedures for machinery handling, laboratory services, designing, packaging and logistic practices. 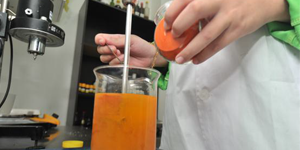 With ZY Phyto, you’ll get complete product creation. Choose from our wide-ranging products such as herbal juices, energy juices, men and women herbal juices, mixed herbal coffee, fibre diet, powder based health food and herbal tea. Herbal and beauty products are always sell like gangbusters, so this your chance to make big in this business. We don’t just pick any herbs without knowing its benefits. That’s why we collaborated with local universities like UTM, UKM and USM for research and development. We also to ensure the quality of the materials meet the national standard for food and health product. Our herbs are scientifically proven by the research and beneficial to the end users. As the need for halal product is rising, we equip our product with halal certificate from JAKIM. Our warehouse complies a GMP standard procedure so that everything from product formulation, product research and development, designing, production, packaging and delivery meet your quality. 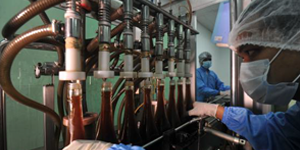 Contract Manufacturing of Beauty and Health Products. We are committed in hygiene practice for every stage in our production line. Our staffs follow strict hygiene guidelines to ensure your product is in good condition throughout the process. We strive for exceeding quality service for herbal and beauty contract manufacturer. Our state-of-the-art facility is designed to comply with the 'Halalan Toyyiban' requirement, making us the preferred choice to cater to every market. Rest assured that every product we produced is of beneficial and safe for consumption. The collaboration with local universities like UTM, UKM and USM shows our commitment for quality in research and development.